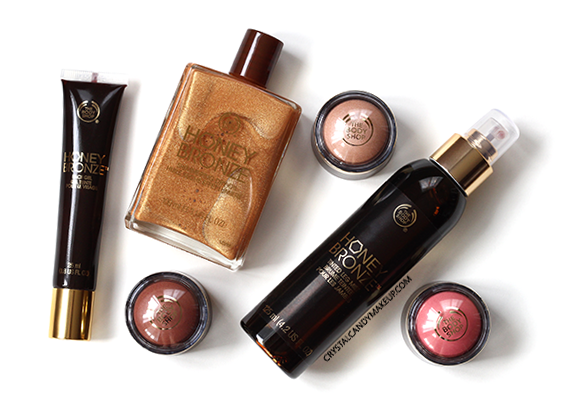 If you aren't a fan of self tanners but still want to be a golden goddess this summer, you need to check out the new The Body Shop's Honey Bronze collection! 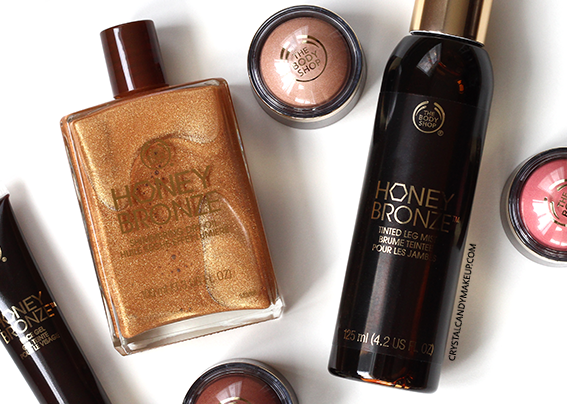 Having a beautiful sun-kissed complexion has never been easier! Oh how I love these highlighting domes!! 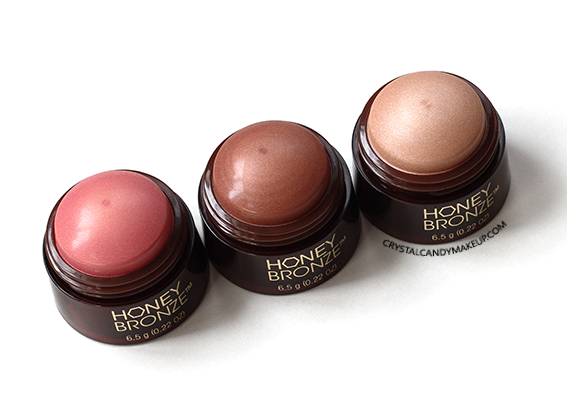 The texture is creamy so they are easy to apply. All shades have great color payoff and look good on light to tan skin tones. 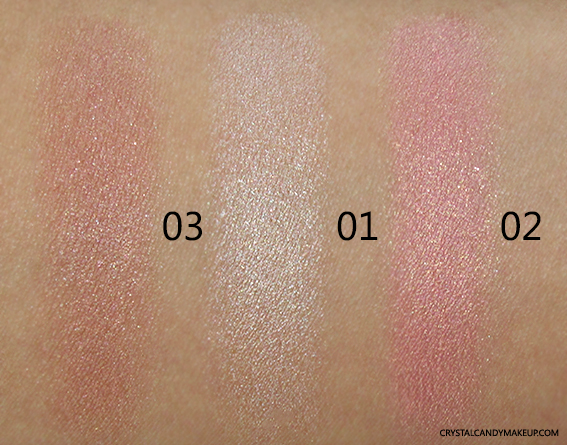 The finish isn't glittery, but it's very shimmery so if you prefer matte blushes these aren't for you. 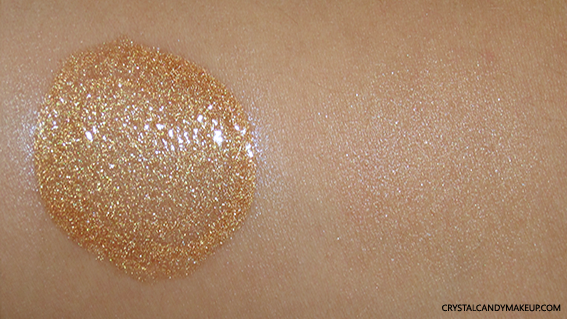 I'm obsessed with the shade 01, such a pretty highlighter! They last all day on me even if they can rub off easily, but I rarely touch my face anyway so it's not a problem for me. 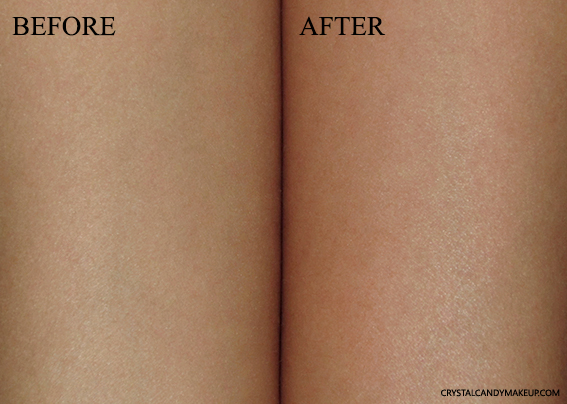 This thin gel gives a very natural-looking tan without any shimmers! It's very easy to apply and non-streaky. It's not oily at all and sink into the skin quite fast, although it feels a bit sticky for a minute or two. You might still need to apply your favorite body lotion if your skin is very dry, because this product isn't very moisturizing. If you want to do that though, I suggest to apply your moisturizer and then you can apply the tinted gel instead of mixing both together, because the gel doesn't mix well with some body lotions. The nozzle isn't that great but it doesn't bother me because I prefer to spray it in my hands and apply it like a lotion. It's a good product but I wish it was darker, it's very subtle on me. It looks great on light skin tones though and is a good alternative to self tanners if you want to be tan for a night out! The color is perfect! It has a hint of red to give a beautiful sun-kissed look, it doesn't look orangey and is completely matte. 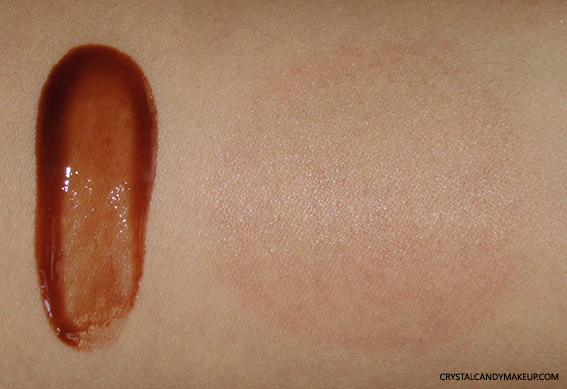 It's not highly pigmented so it will be quite subtle on darker skin tones though. It has great staying power because it leaves a stain on the skin, so you'll need to wash your hands afterwards! You can even mix it with a foundation that is a tad too light for you during the summer months! Be careful if you are sensitive to fragrance though, I find it to be a bit overpowering.. 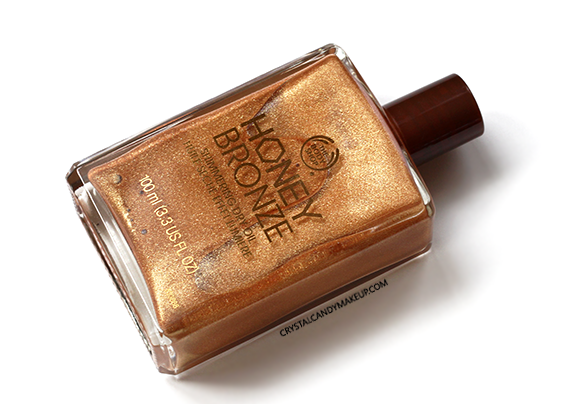 The Honey Bronze Shimmering Dry Oil isn't a new product, but it's in the Honey Bronze family so I decided to include it in this review. If you are looking for a shimmery dry oil that is similar to Nuxe's Huile Prodigieuse, you might want to check this one! 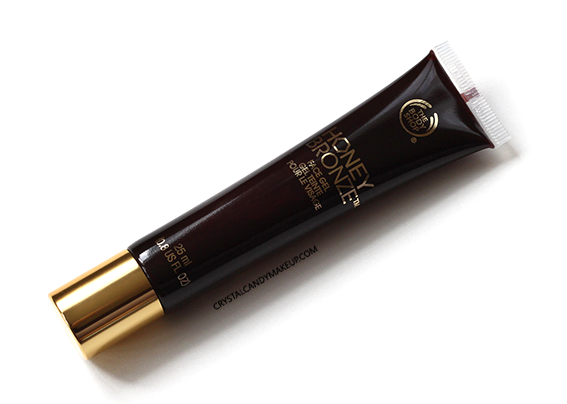 It gives the same shimmery effect and moisturizing properties, for half the price! The scent is different and the Nuxe oil comes with a spray, but it can be a good dupe if you want a similar effect. Please note that it gives a gorgeous shimmery finish but it won't change the color of your skin. 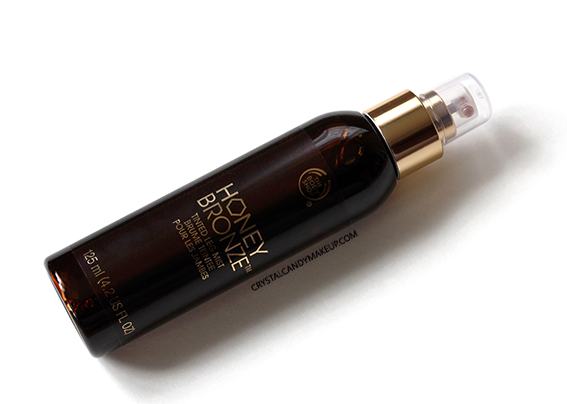 If what you want is a tan for a special occasion, then you should try the Honey Bronze Tinted Leg Mist! I find the scent to be a bit strong though, so I think this is the kind of product that you might want to try in store before you buy it. Merci,tu es très précise ,bisous de Grèce !